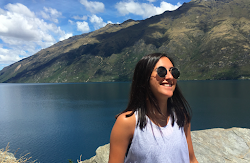 Chelsea's Digital Learning Journey: Is your default the way you learn OR the way your learners learn? Today we joined up with other Manaiakalani teachers for our Digital Immersion session. The focus for this term is all about visible learning and its benefits for our students. Learners in our communities come to school below the expected standard for New Zealand students. In order to get our learners up to standard by year 8, they need to make a 1.5 year accelerated shift. Visible learning enables such an accelerated shift. So how can we ensure our students learning preferences are catered to in our lessons? Can we cater to 20+ students learning needs in one lesson? 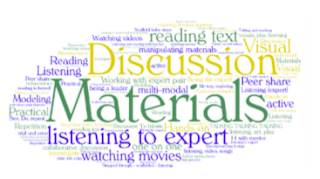 Multi-modal learning is an approach which uses a range of modes to develop students understanding of a topic or an idea. It is related to Gardener's theory of 'Multiple Intelligences'. The site uses a range of audio, visual and textual (paragraphs, bullet points and sentences) resources. Students can synthesise their learning across multiple types of media to gain a better understanding. As the MDTA already learnt about this earlier in the year (here and here), we were set with the challenge of extending our learners further. We were set the task of encouraging our learners to select their own texts to help make sense of what they are learning. As my classroom has already had experience with using a range of multi-modal sites, I decided to challenge my students with a trickier topic and include self-selected texts. 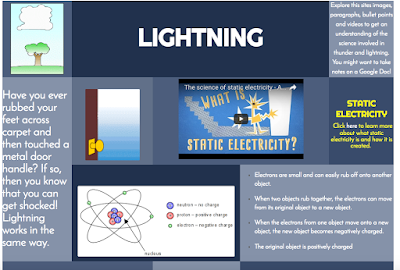 Our inquiry topic for the term is weather, so I created my site to help my students learn about lightning and thunder. I chose a range of texts (paragraphs, bullet points and sentences), videos and images (including GIFS). As the science behind lightning is quite tricky, the texts range in reading difficulty. I want my learners to engage with more challenging texts, so it is my hope that they will first use whichever mode they prefer to learn in, and then use the more challenging texts to deepen their understanding. Click on the image to have a look at the site that I have created using HTML. We have begun using this site today and will continue to use it throughout the week. very impressed with your site and information provided!! You are really making progress at G.I.S and the students are so engaged. Thanks for your feedback Amy! Have you used multi-modal sites in your classroom? 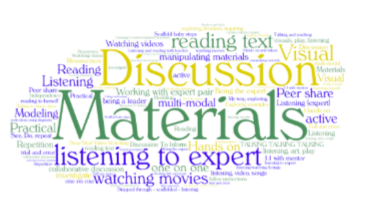 It would be interesting to hear how younger learners respond to multimodal learning.